240 volt anti surge and high voltage fuses for microwave ovens. 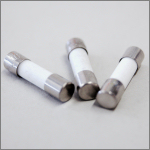 240 volt anti surge fuses 20 mm in length. 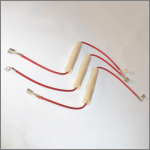 240 volt anti surge fuses 32 mm in length. Ceramic time delay fuses 240 volts AC. Size 6.3 mm diameter by 32 mm length. Ceramic time delay fuses 240 volts AC. Size: 5mm diameter by 20mm length.